About a week before Christmas (or was it a week after?) 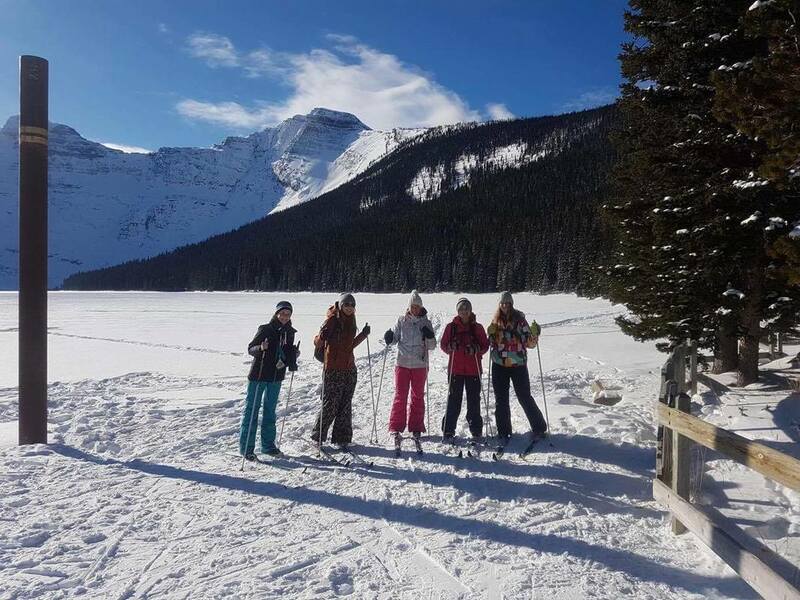 I organized a girls cross-country ski trip to Waterton. There is nothing I love more than a day out with the girls. 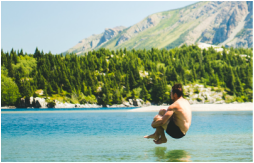 Last summer, we did a hike & paddle board day which was so much fun filled with laughter and ease. There’s something about getting a group of women together that creates a positive and fun environment. I always feel like I’m a young teen again, hanging with my friends. Of the five of us, I was the only one who had even been cross-country skiing before, and really, I’ve only been twice. The ladies were nervous about the activity and I reassured them they would find it much easier than expected. We rented our equipment from Waterton Lakes Lodge for $30 and hit the trailhead by about 11:00 a.m. It was surprisingly empty for the beautiful warm and sunny day. After helping everyone clip in, we headed off on the trail in a single line on the premade tracks Parks cuts in the snow. The beginning of this route is two slow-and-steady hills so we were huffing and puffing for that first bit. After the hills were done and we were on flat terrain, the rest of the girls really started to get a feel for it. I stepped aside and let them glide along and I stayed back with Rachelle. I have to give Rachelle kudos- she is a die hard winter hater and she still came out with us! We chatted as we glided along. Because it was so warm, the snow was a little sticky so we didn’t get as much distance per push as we would have if the snow was dry and fluffy. We passed the back country cabin that the Alpine Club of Canada rents in the winter. Damn, I want to stay there! I need to organize a girls trip to that cabin! We got to Cameron Lake and enjoyed the view. I originally wanted to ski all the way across the lake but halfway across I realized it was way farther than it looked. Ha ha! Of course! Also- thank you to the brave souls who cut those trails on the lake! Cat and I thought we could forge our own trails and swiftly gave up on that idea. Once back at the shoreline, we asked a snowshoer to get a much needed group shot. After that, I suggested we walk over to the creek/bridge and check things out. As we stood on the bridge enjoying the view and snapping photos I told the gals about a man in my grandmas retirement home who goes cross country skiing every year and is 96 years old. I told them to expect me to come drag them out at 96 to go skiing. It was around this point that I mentioned how good sweet potato fries would be and then I was hit by a crazy hunger! We went back to our skiis and headed back to the car. This time around, everyone was feeling pretty comfortable on their skis. I tried to go off trail and down a little hill but ended up stuck in the deep snow. Whoops! We made great time this time on the way back because everyone was in a good rhythm. The best part was getting to go down those two hills we went up at the beginning of the trail. They were extra fun because you were going fast by x-c ski standards but not actually fast enough to be worried about hurting yourself if you fell. So you could just enjoy the ride. After we returned our skis we headed to Weiners of Waterton (FYI. Vimy’s is closed until February 5th) and boy was that placed packed! We were starving and stood there sipping tea and coffee watching for our food like a hungry dog. I don’t think I’ve ever inhaled food that fast before but damn did it feel good. While we ate, we talked about the next girls adventure. Cross country skiing in Crowsnest Pass was suggested, or rock climbing at the University. I don’t know what we’ll do next, but I’ll think of something! 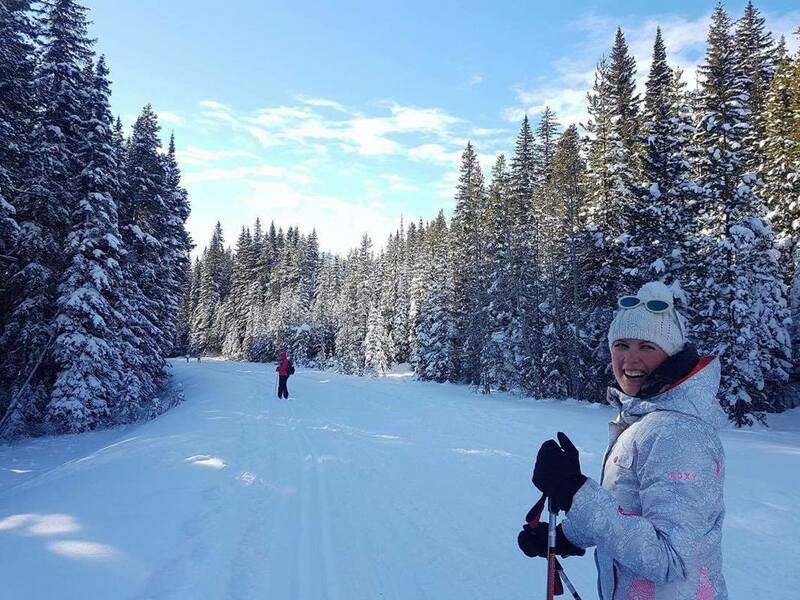 Where else in Southern Alberta is good for cross country skiing?